I am really impressed with this fantastic software. Designed for the professional Cartoonist, it is similar to Photoshop and Illustrator, yet sells for just a fraction of the price. Pressure Sensitivity for sketching on Tablets. Pen and Pencil Tools that behave like their real world counterparts. Preset and Customizable Word Balloons. Supports Vector and Raster Layers. Layout and adjust pages with the Panel Tool. Import a variety of Screen Tone Patterns. The interface is intuitive, easy to learn, and completely customizable. 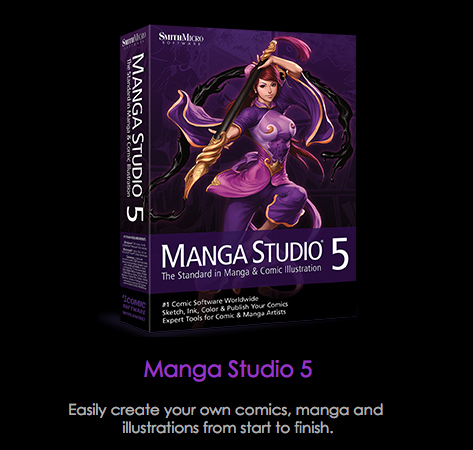 A great number of professionals have been using it for both Manga and Traditional Illustration. I give it 5 Stars.